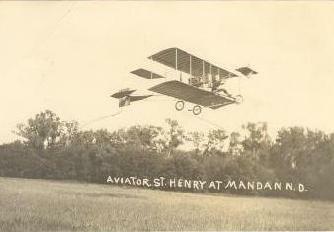 Mandan's first municipal airport was Eielson Field located south of the east end of what today is commonly called the strip. While the airport was formally dedicated on May 2, 1933, its construction continued in July 1933 with the clearing and stacking of timber from the tract. The wood was earmarked for home heating fuel for the City's need in lieu of coal the following winter. 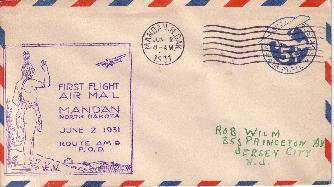 The field was named after <?xml:namespace prefix = st1 ns = "urn:schemas-microsoft-com:office:smarttags" />Hatton, ND native Carl Ben Eielson, along who with Hubert Wilkins, flew a Lockheed Vega from Point Barrow, Alaska to Spitzbergen, Norway in April 1928. 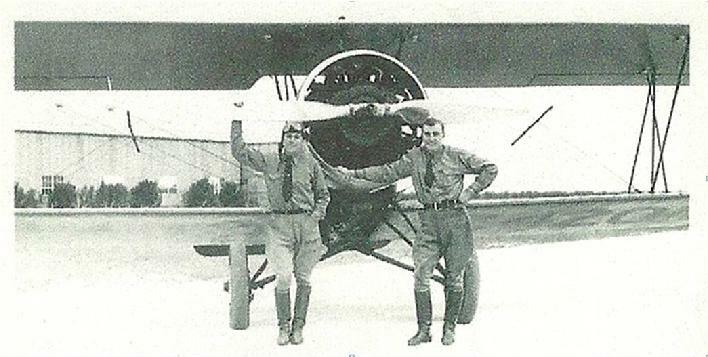 They became the first to cross the North Pole by air. The flight, expected to take about 20 hours, actually took six days because of a fierce winter storm they encountered along the way. 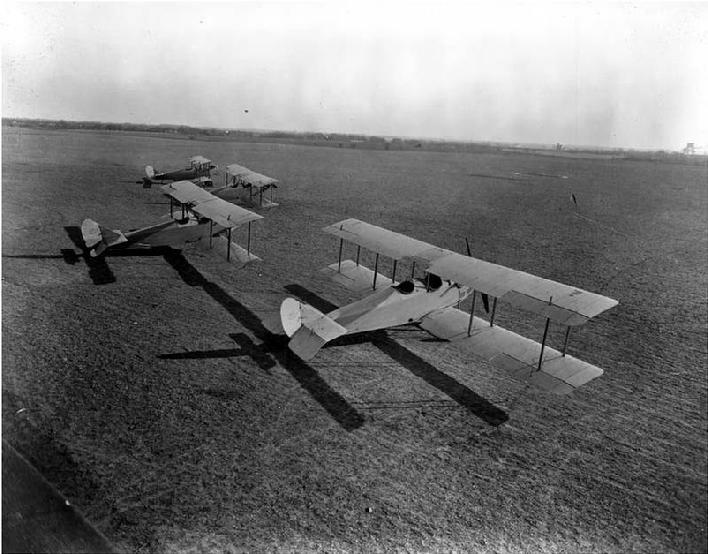 He had enlisted in 1917 in the US Air Corps and later the aviation section of the US Signal Corps at the outbreak of World War I. But when the war ended, he returned to North Dakota for a short period. 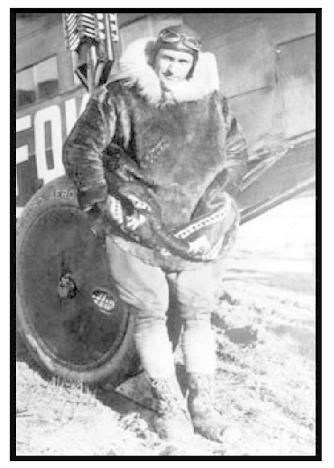 In 1921, he was recruited to become an air mail pilot in Alaska, and eventually turned to making artic aviation history. Eielson died along with his mechanic in December 1929 attempting to rescue 15 passengers of the Nanuk cargo vessel which had become trapped in the icepack of the North Cape of Siberia. 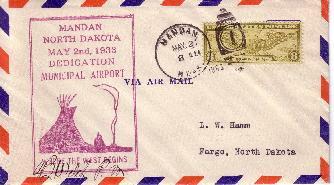 While Mandan's airport no longer pays homage to Eielson, the US Airforce still operates Eielson Air Force Base located 25 miles southeast of Fairbanks, Alaska. The base originally started in 1939 as a cold weather test station for aircraft and now is home to the USAF's 354th Fighter Wing. A WWII liberty ship was also named after him. Carl Benjamin Eielson is also honored as namesake to numerous schools in Alaska and North Dakota.